For many people with chronic pain or other conditions treated with CBD, vaping provides convenient and quick relief. With so many different types of vapes and CBD available, , getting started can be a daunting task for inexperienced vapers. This guide will get you started. Vaping CBD is one of the easiest methods available to consume this beneficial supplement. For many people with chronic pain or other conditions treated with CBD, vaping provides convenient and quick relief. However, getting started can be a daunting task for inexperienced vapers. With so many different types of CBD available, is that disposable pen vape at the headshop down the street really the best option? Probably not. Many stores take advantage of new vapers’ lack of knowledge, selling them over priced equipment or, worse, a product that will make them sick. To avoid feeling cheated out of your hard-earned money or getting sick, it is important to acquire a basic understanding of vaping and the components involved before making your first purchase. Many users describe an almost instantaneous effect when they first vape CBD. A woman exhales a cloud of vapor after using an electronic cigarette. Vaping CBD is increasingly popular because many users report feeling its effects more quickly than with other methods of taking CBD oil. Edible forms can take more than 30 minutes to digest and enter the user’s bloodstream. 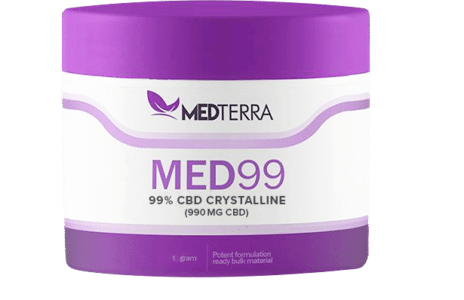 For people using CBD to treat seizures, chronic pain, anxiety or other similar ailments, waiting 30 minutes isn’t always an option. 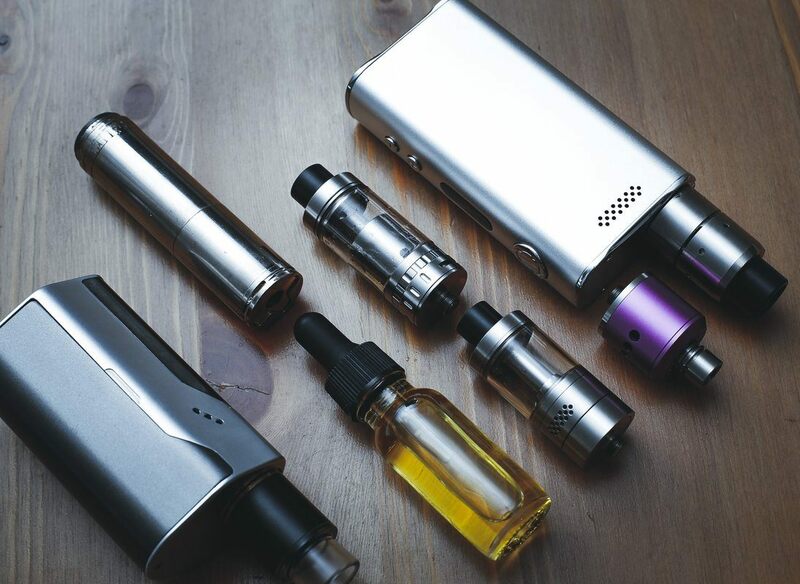 Not every vape is the same, but they all have four basic components: a battery, a heating element (also known as an atomizer), a mouthpiece and a chamber to hold the material to be vaped. The heating element vaporizes whatever material it comes in contact with in the chamber and the user inhales the vapor through the mouthpiece. From here there are two distinct styles of vapes that we are concerned with for vaping CBD. The first type is the pen-style vape used for concentrates. It consists of a chamber with a metal heating coil in the bottom that vaporizes concentrated CBD isolate placed directly on the coils. The problem with vape pens is that the coil must be replaced periodically when it burns out and each one costs upwards of $20. What’s more, as the heating coil slowly breaks down and oxidizes through repeated use, metal nanoparticles can potentially become aerosolized in the vapor being inhaled. Coil life can be extended by only using pure CBD isolates in the pen. Flavor additives and impure CBD leaves residue on the coil and speeds up oxidation. We will go into that further in a later section. The second style of vape is the kind that produces the famous billowing clouds associated with vaping. These are known as “tank style” vapes. Tanks require e-liquid, a mixture of propylene glycol, vegetable glycerin, flavorings and CBD. The heating coil inside is filled or wrapped with cotton, nylon or silica wick to absorb the e-liquid into the coils. When it comes to tank style vapes, there are yet another two variations: disposable and refillable. Disposable vapes (also known as “cartomizers” because they use prefilled, disposable cartridges) tend to be made with cheaper materials and are of questionable quality. If used improperly, the coil and wick can burn up, leaving the entire system useless. Users add their own e-liquid to refillable vapes and the heating coils are replaceable on some. For tobacco smokers, a refillable tank is the most common style of vape; however, for someone who has never smoked, a refillable pen style vape that uses CBD concentrates instead of e-liquid is the best option. These are typically sold as all-in-one kits and replacement atomizers can be purchased online. It allows the user to control what materials are used in the vape and what chemicals are consumed. All vaporizers have four basic components: a battery, a heating element (also known as an atomizer), a mouthpiece and a chamber or tank to hold the material to be vaped. 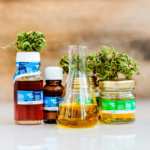 The main drawback to using CBD e-liquid over pure concentrates is that the maximum dissolution rate of CBD in e-liquid is about 33mg/ml without the addition of polyethylene glycol, alcohols or other harsh chemicals. This means that to achieve a typical dose of 10mg to 30mg of CBD, nearly 1ml of e-liquid must be consumed in one sitting. To put that into perspective, a small disposable pen style vape has about 1ml to 2ml of e-liquid. This potentially exposes the user to unnecessary risk from metal contaminants and other chemicals. It would take about 20 puffs of e-liquid to achieve the same dose as one puff off a concentrate pen. With disposable vapes, users have little control over the metal used in the coil, flavors used in the e-liquid, the quality of the CBD or the base chemicals used in the e-liquid. A small percentage of users are allergic or later develop allergies to some of the chemicals and materials used in vapes. Some studies found negligible amounts of metal particulate and other dangerous contaminants, such as lead and cadmium, in commercially available vapes. That is why it is so important to be informed before pursuing vaping, to avoid any potential allergens or contaminants. As technologies and regulations continue to evolve, these risks will become better understood and easier to mitigate. With pen-style, concentrate vapes, the main material of concern is the heating coil. These are typically made from titanium, stainless steel, Kanthal (an alloy of iron, chromium and aluminum), nickel-chromium alloy or pure nickel wire. Most commercially available vapes use Kanthal, grade 1 titanium or stainless steel. While the levels of metals measured in the aerosolized vapors were well below recommended exposure levels, vapers are still consuming metal nanoparticles that they wouldn’t otherwise be consuming. Because there are so many different vape manufacturers around the world, it is important to research what materials are in the vape you plan to purchase and buy it from a reputable source. There is a large market for knock-off vape hardware manufactured from inferior materials. The study states that choosing a vape made from stainless steel and borosilicate glass could eliminate certain contaminants. The materials used in vapes are typically listed online and on the box. Using a vape with cotton or quartz wick and a titanium, stainless steel or Kanthal heating coil is probably the safest option. With nickel compounds designated as carcinogens and 10%-20% of the population sensitive to nickel, nickel and nickel-chromium coils should be avoided entirely. As metal wire is heated and cooled repeatedly, an outer layer of metal oxide forms around the wire and prevents further oxidation. When liquid comes in contact with the coils, the oxidized layer of metal nanoparticles can contaminate vapor and travel into the user’s lungs. 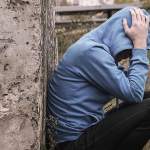 If this is a major concern for you as a user and you want to eliminate these contaminants entirely, skip ahead to the section on alternatives to vaping. If you still intend to vape, you should know a little bit more about oxidation and wire. The main oxide on titanium wire is titanium dioxide, a compound commonly used in beauty products and shown to cause DNA damage in mice. Kanthal and stainless steel wire both produce chromium oxides and ions, but the carcinogenic chromium ion, chromium VI, wasn’t found in aerosolized vapor. It is important to realize that many vapes are marketed as having quartz or ceramic heating elements. This is the case in some new vapes, but many still have exposed wire wrapped around a ceramic or quartz core. Vapes like this are still going to leech metal contaminants into the inhaled vapor. The main two chemicals in CBD e-liquid are propylene glycol and vegetable glycerin. Users with sensitivities to either of these chemicals will notice sinus irritation, nausea or a headache upon use. Individuals with more severe allergies can break out in hives, develop swelling or have difficulty breathing. Lucky for us, both chemicals are so ubiquitous in our everyday lives that it would be nearly impossible to not realize you have an allergy to one of them before you started vaping. 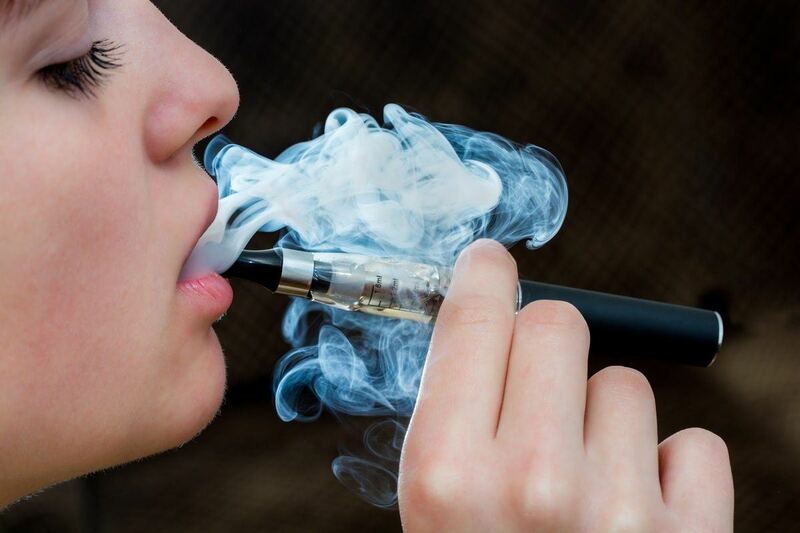 Propylene glycol and vegetable glycerin are common ingredients in smoke machine vapor, cosmetics, hair products, food, drinks, cigarettes, medicine and many more products. 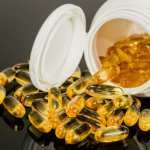 Vegetable glycerin allergy is very rare and is more likely caused by an allergy to the plant oil the vegetable glycerin was derived from. Propylene glycol allergies on the other hand are much more common, but entirely avoidable. Pure vegetable glycerin liquids are available, but because vegetable glycerin is such a viscous compound, it doesn’t readily absorb into the wicking of most vapes. Pure vegetable glycerin juice requires advanced equipment called a rebuildable atomizer, or RBA, which is outside the scope of this introduction. 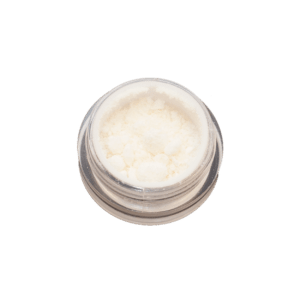 As well, pure vegetable glycerin is difficult to use with CBD because it tends to precipitate out of the liquid into crystals. 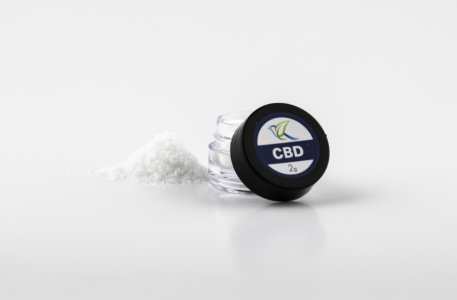 Polyethylene glycol can be added to the vegetable glycerin to allow more CBD to dissolve into the liquid; however, it is extremely bitter and harsh. 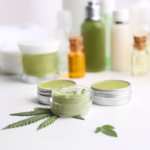 While this article is mainly concerned with vaping and making it as safe as possible for new users, there are many alternative methods for consuming CBD that don’t involve as much fanfare. If quick relief is a concern, high-CBD hemp strains can be smoked or concentrated CBD isolates can be vaporized out of a more traditional water pipe. The disadvantage to this is it is impossible to do in public without looking like an illicit drug user. Through a process known as dabbing, a quartz dish is attached to the stem of a glass water pipe and heated up usually with a blowtorch or heating coil. 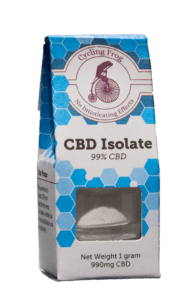 CBD isolate is placed in the quartz dish and vaporized for the user to inhale. This form of consumption is vastly healthier, as the only chemical that the CBD vapor can be contaminated with is water. Quartz is and inert and durable material. For users who don’t mind waiting or in need of external relief, edibles, capsules and topical creams provide a great alternative to smoking or vaporizing. What’s so great about CBD is the ease in which it can be added to almost anything that people consume. IS VAPING CBD WORTH THE HEALTH RISKS? While there may be some health concerns for non-smokers interested in vaping CBD, the exposure to some contaminants is less compared to traditional forms of smoking. Short-term and mid-term studies on the health effects of vaping show no significant side effects in smokers. Whether or not vaping is right for you, CBD is always an option. With the information laid out here, you should be able to make a more informed and safe decision about how to consume your CBD. It is important to continue doing more research. 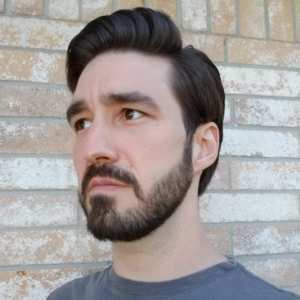 Read reviews, watch YouTube videos, read Reddit posts, join a Facebook group and search for more information about whatever product you are interested in before you buy it. Chances are someone else already laid out everything you need to know about any given product. And, if you can’t find any information on a product, that is a huge red flag! Don’t buy it!